The last we heard from Italy's Kalidia was four years ago and Lies Device, their self-published debut album. Now signed to Inner Wound Recordings (SWE) the band returns with their new and second recording, The Frozen Throne, which also features new drummer Dario Gozzi. To tap your memory, Kalidia is a female-fronted band that plays melodic power metal with notable symphonic textures. 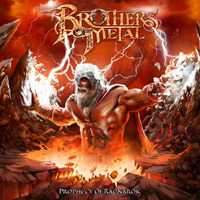 Well, there's nothing new, and they are from Italy after all, the home of epic symphonic power metal. The Frozen Throne offers pretty standard stuff, all the elements required for the genre. Most songs offer an abundance and gallop and groove from the rhythm section, though the tempo can be mixed at times. For instance, both Frozen Throne, Lotus, and the heavy Queen Of The Forsaken can be blistering in their pacing. Alternatively, songs such as Myth Of Masada or Black Sails can moderate the pace in parts. The latter song actually has a more marching rhythm that reminds of martial music. If speed gets dialed back, it's often to allow for the rise of synth or guitar solos, or a duet of both. Sometimes the instruments can be indistinguishable from each other. Occasionally, those same synths can add some folk or ethnic music nuances as at the beginning of Black Sails and To The Darkness I Belong. Most often in their symphonic capacity, the synth orchestration becomes an identifiable individual player grooving with the rhythm of the song. 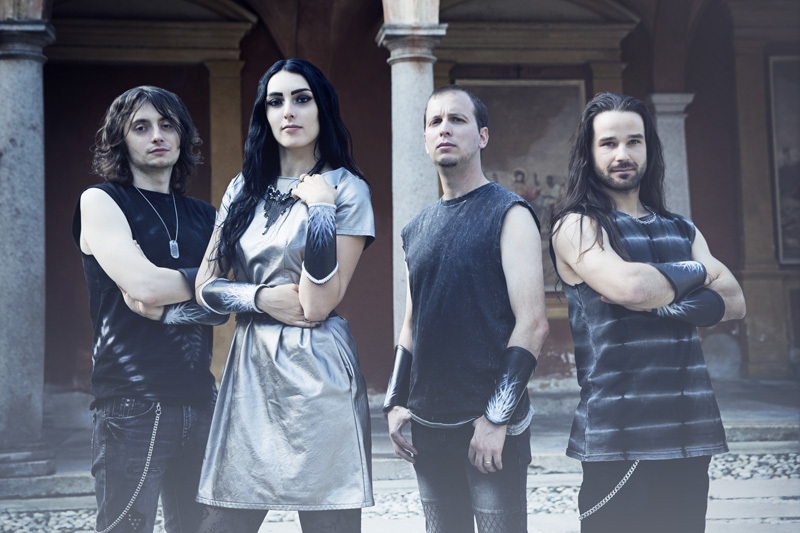 In the end, its easy to compare Kalidia with most every other female-fronted symphonic and melodic power metal band out there, and find obvious and glaring similarities. But that's to simply say that the niche is swollen with so many bands, that you have to do something quite significant to rise above your peers. Is Kalidia up to the challenge? That same question has to be asked to all the bands in the genre. I'm not sure? But Kalidia is quite talented at what they do. Those that love the genre and the band will probably enjoy this album immensely. Recommend for those fans. 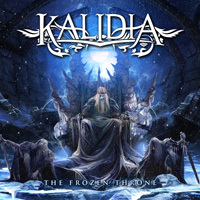 Kalidia's The Frozen Throne offers basic female-fronted melodic and symphonic power metal, both familiar and predictable, yet still entertaining.